If you are a music lover visiting the New York Central Park, one place you invariably check out would be the Strawberry Fields Memorial dedicated to John Lennon. The memorial is a 2.5 acre triangular piece of land falling away on the two sides of the park, and its focal point is a circular pathway mosaic of inlaid stones, a reproduction of a mosaic from Pompeii, made by Italian craftsmen as a gift from the city of Naples. 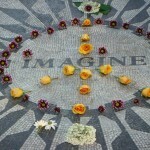 In the center of the mosaic is a single word, a word that the world would always Lennon for – Imagine. 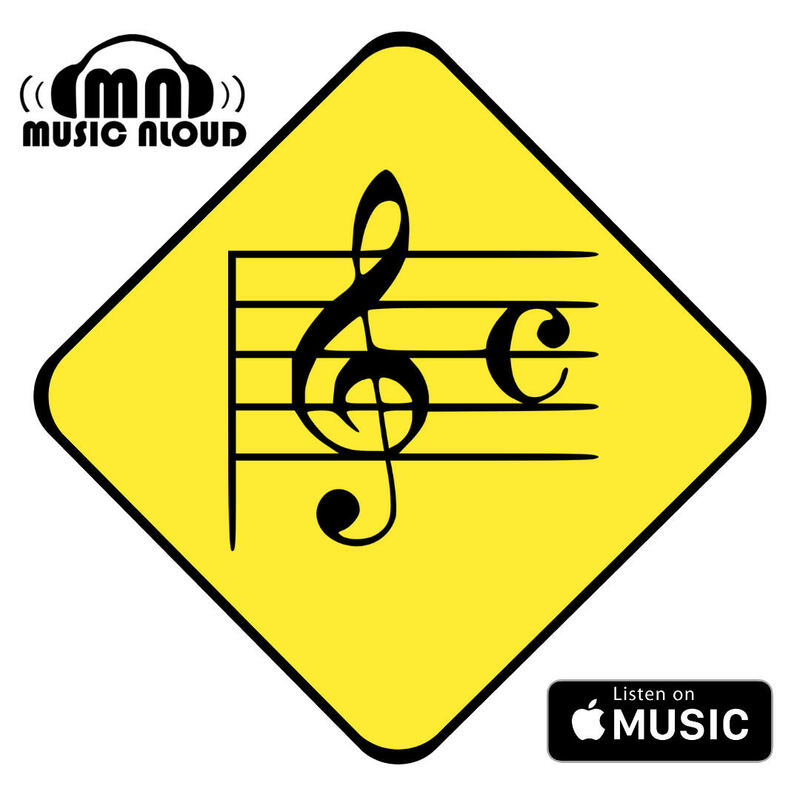 Today we take a look at the legendary song, how it came about. And the ideal point to start off would be with the unfortunate breakup of The Beatles. On September 20, 1969 at a business meeting of The Beatles John Lennon informed his stunned colleagues that he was leaving the group. Though he was persuaded by the group to keep it quiet while they renegotiated their royalty deal, that marked the beginning of the end to a golden age of popular music. Less than a year ahead, on April 10, 1970 Paul McCartney announced his plans to quit the group. And on December 31, 1970 with a writ issued on behalf of McCartney by the High Court London formally began, to the dismay of music fans worldwide, the process that finally resulted in the dissolution of The Beatles. But fortunately for us, good music from the foursome did not end with the end of Beatles, Paul McCartney and John Lennon especially going on to have very successful musical careers, both solo and in collaboration with others. Lennon created a lot of controversies through his work on peace activism, all the same producing some iconic songs on that front. 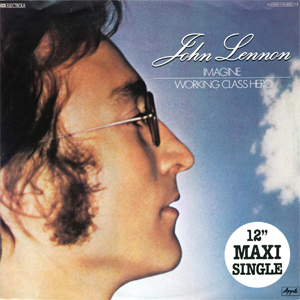 One of the most successful songs hence composed was Imagine which came out as the title song of Lennon’s 1971 album. Imagine went on to be regarded one of the most influential anti-war anthems, Rolling Stone magazine ranking Imagine as the third greatest song of all time, after Dylan’s Like A Rolling Stone and The Rolling Stones’ Satisfaction. both of them being ambassadors of the country. 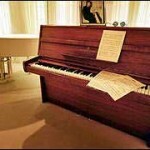 Lennon wrote Imagine on a brown Steinway upright piano. 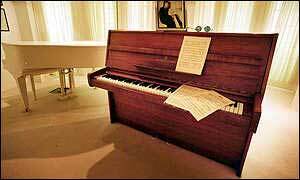 In 2000, George Michael paid over $2 million for the piano, and returned it to the Beatles museum in Liverpool. As expected, cover versions of Imagine have been numerous. The most famous ones are Neil Young‘s performance of the song for the victims of 9/11 and Stevie Wonder‘s rendition at the close of 1996 Summer Olympics. My favourite cover though is the Arabic-Hebrew-English version by Khaled and Noa which came as part of Khaled’s 1999 studio album Kenza. The violin sequence from 2:58 to 3:24 is especially brilliant. Oasis used a piano section from the track at the start of their 1995 Don’t Look Back in Anger. Other famous artists to have covered Imagine include Joan Baez, Peter Gabriel, Dolly Parton, Queen etc. 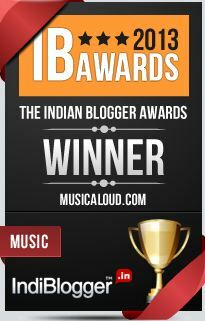 Some very imaginative listeners have managed to track down backmasking instances in Imagine. One speculation says that on reversing Imagine all the people you can make out the line people war beside me. Whatever the case be, we close with the wish that some day what Lennon wished for does genuinely happen, one world, one people.